Software: NetEnt, Microgaming, Thunderkick, and Wazdan. LVBet Casino is operated by Fairload Ltd. This company is licensed in Malta. 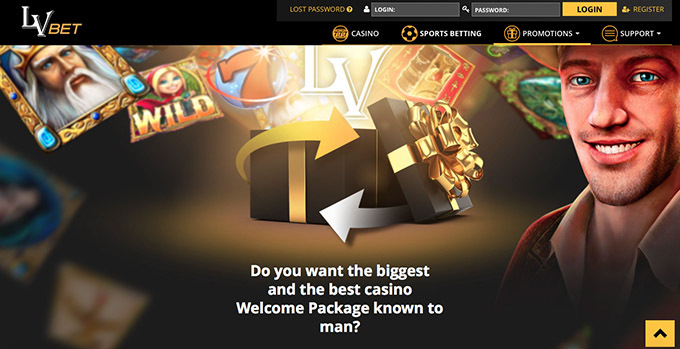 LVBet Casino is one of the newer NetEnt casinos that have established themselves in the iGaming sphere. Players can expect to a vast selection of over 200 games from which they can choose, including NetEnt, Microgaming, Thunderkick, and Wazdan slots. New players at LVBet Casino are eligible to sign up for a €5 No Deposit Bonus. Claim your €5 No Deposit Bonus by using our Exclusive links on this page to register for a casino account at LVBet. Once you have signed up for an account, send an email to: bonus@lvbet.com to get your No Deposit Bonus credited. 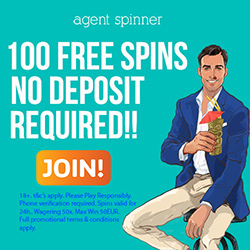 This No Deposit Bonus offer is only available with our Exclusive sign up links! Only players residing in the following countries are eligible: Austria, Finland, Germany, Netherlands, Iceland, Luxembourg, Norway, Russia, Switzerland, Sweden, and the United Kingdom. Note that the wagering requirement for the Welcome bonus is 30 times (deposit + bonus). For a 200% bonus, deposit and bonus amount has to be wagered 35 times. LV Spins winnings have a wagering requirement of 35 times. The maximum cap on No Deposit Bonus winnings is €100 with a 50x wagering requirement. The following players are restricted from playing at LVBet Casino: Afghanistan, Algeria, Angola, Bahrain, Belgium, China, Cuba, Denmark, Eritrea, Ethiopia, France, Guadeloupe, Guyane (French Guiana), Hong Kong, Indonesia, Ireland, Italy, Jordan, Iran, Iraq, Kuwait, Libya, Malaysia, Martinique, Mauritius, Morocco, Norfolk Island, North Korea, Oman, Pakistan, Poland, Portugal, Qatar, Romania, Rwanda, Saudi Arabia, Sudan, Somalia, South Sudan, Spain, Syria, Turkey, Tunisia, UAE, Yemen, Puerto Rico, US and its dependencies. Players may not use bonus money to wager on these games: 300 Shields, Big Bad Wolf, Blood Suckers, Dead or Alive, Devil’s Delight, Eggomatic, Jurassic Park, Koi Princess, Secret of the Stones, Simsalabim, and The Wish Master. The deposit options at LVBet Casino are: Visa, Neteller, Skrill, MasterCard, Euteller, Paysafecard, Zimpler, Giropay, MuchBetter, Trustly, iDeal, and Sofort (only in Germany). The withdrawal options at LVBet Casino are: Neteller, Skrill, Visa, Bank Transfer, and MasterCard. Processing times: 1 to 3 business days. English, German, Czech, Swedish, Turkish, Russian, Polish, and Slovak. For any queries, contact customer care via Live Chat, Email, Phone, or the Contact form on the website.